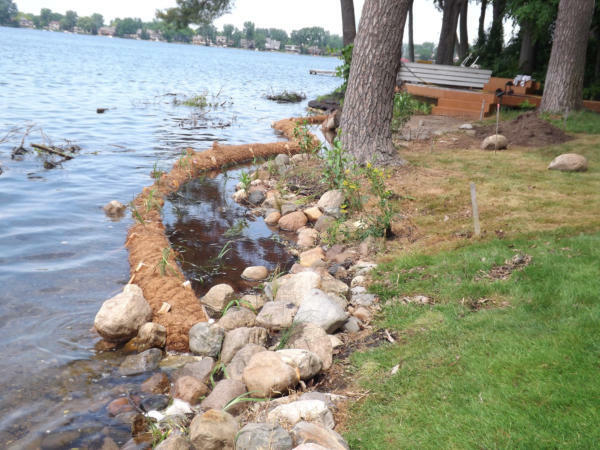 Lake Voorheis Project 2013- Shoreline Restoration Initial pictures show existing shoreline which was being eroded by the impact of the neighbors steel sea wall. 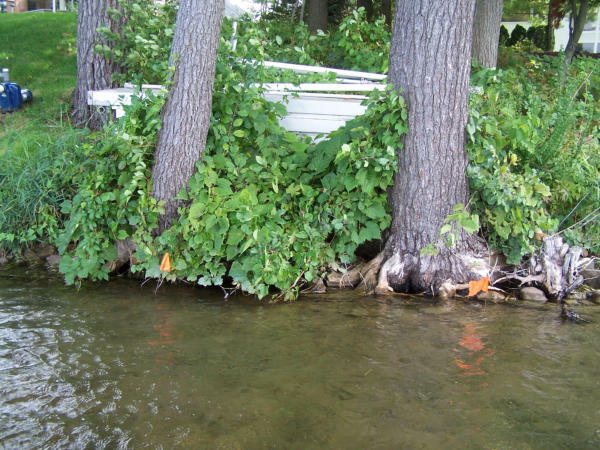 Two beautiful white pines were being undercut as a result of the scouring affect. 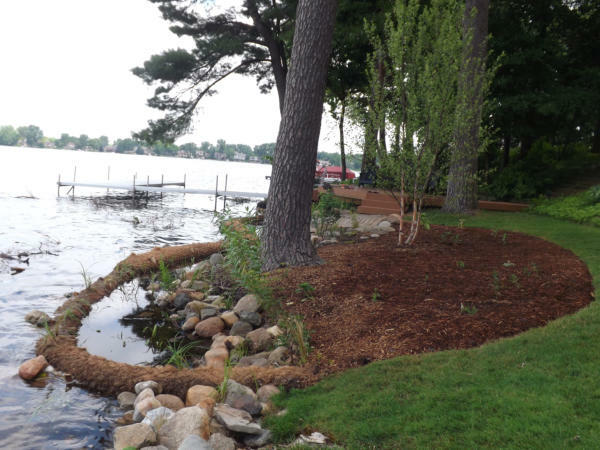 Geo-web was placed and filled with 21aa gravel to create a stable base to allow backfilling to protect the trees. 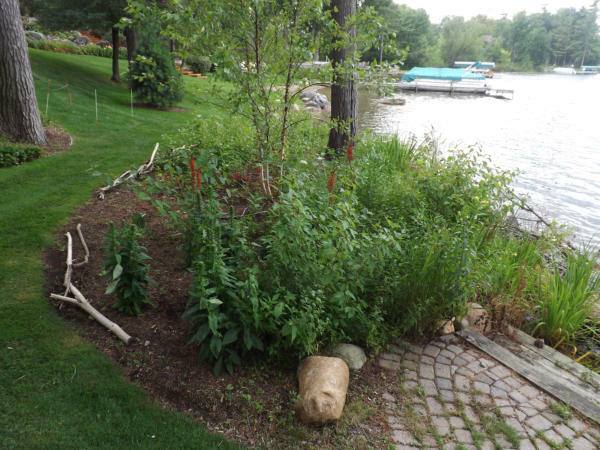 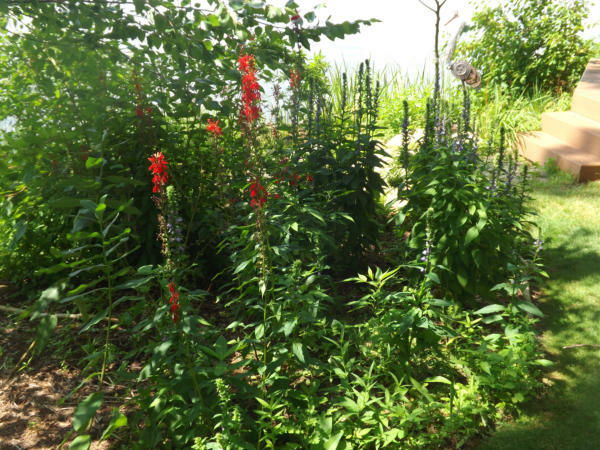 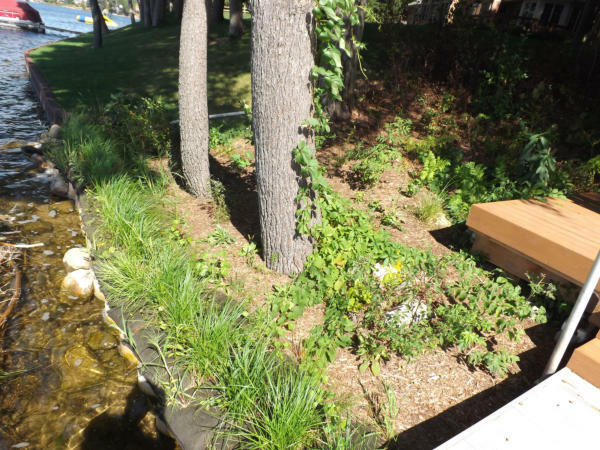 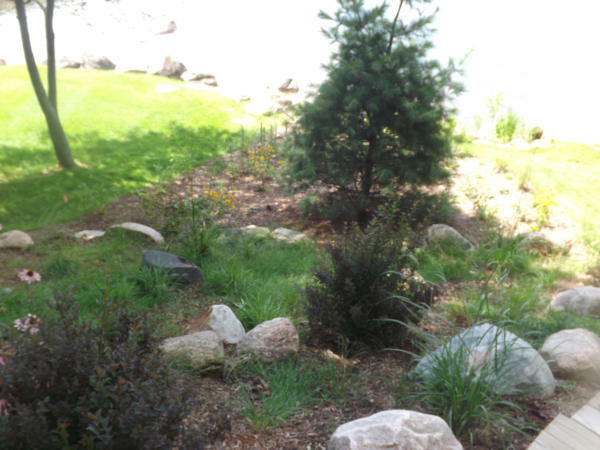 Envirolok units were installed on top of the Geo-web which were planted and seeded with native grasses and sedges. 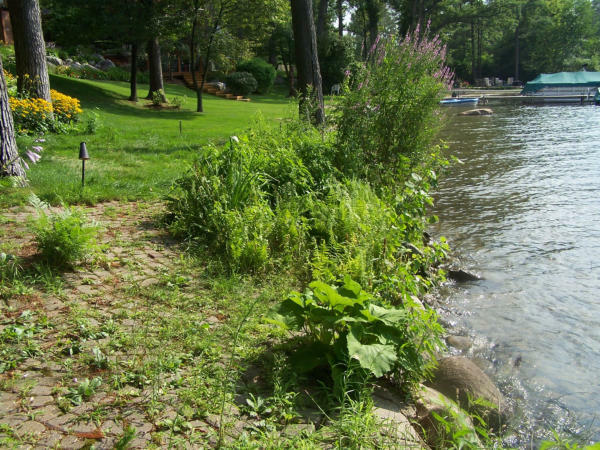 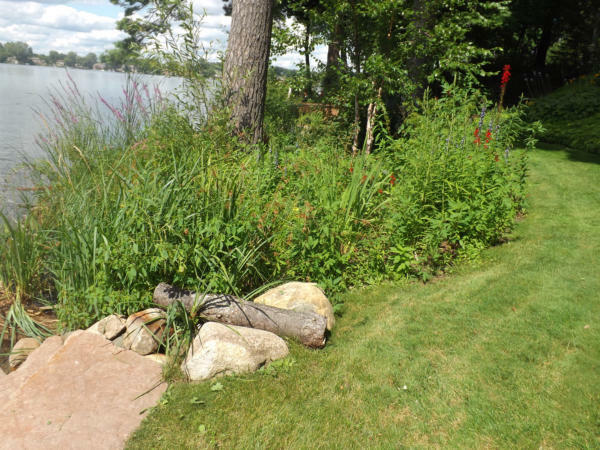 This was all backfilled with screened topsoil and planted with native shrubs and plants to stabilize this shore area. 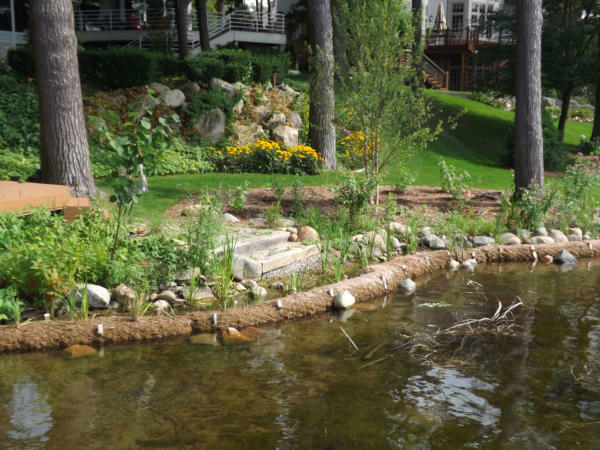 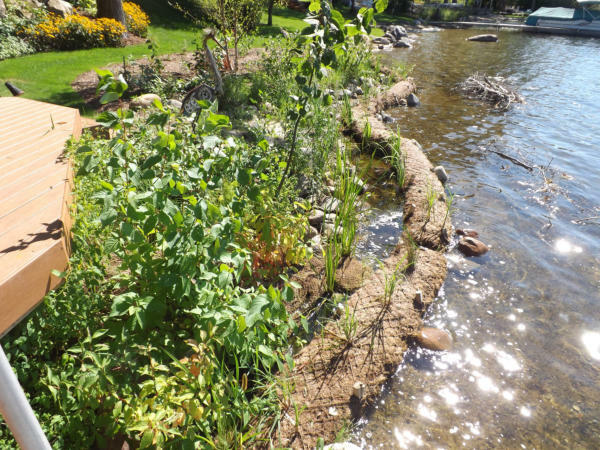 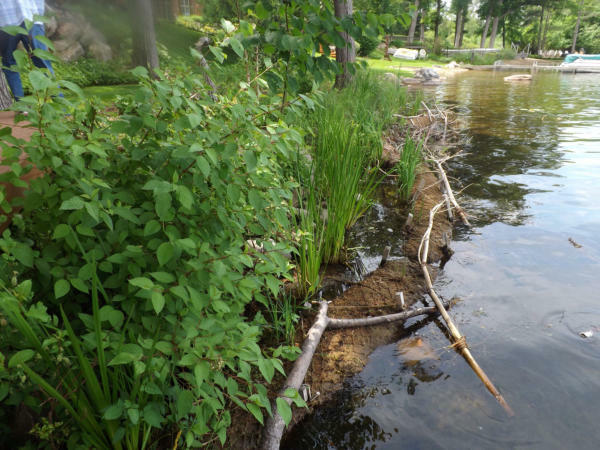 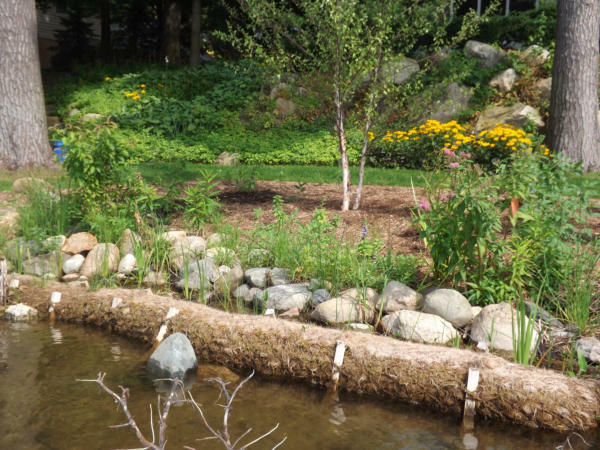 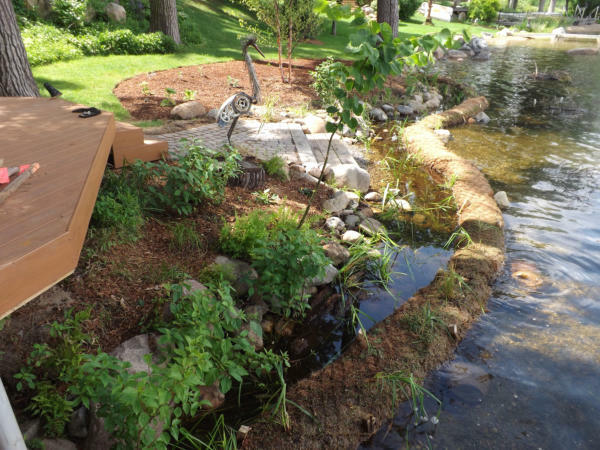 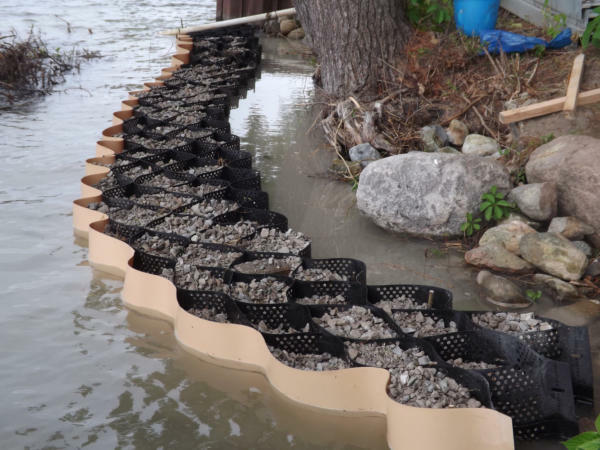 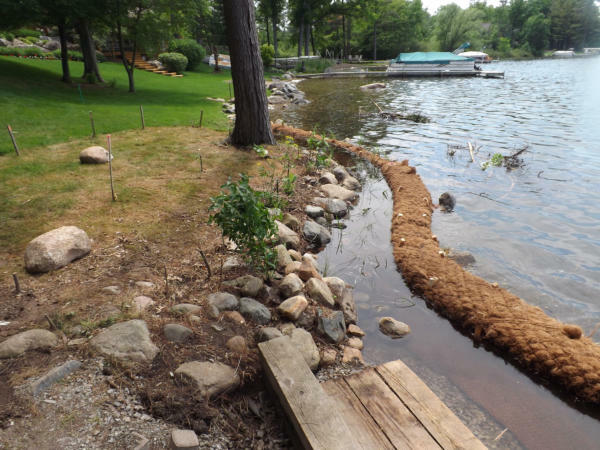 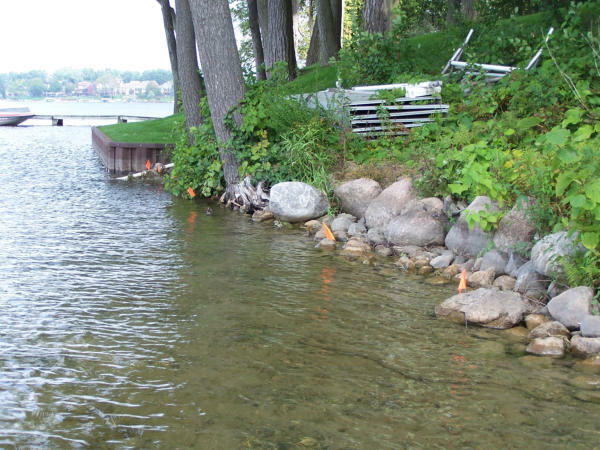 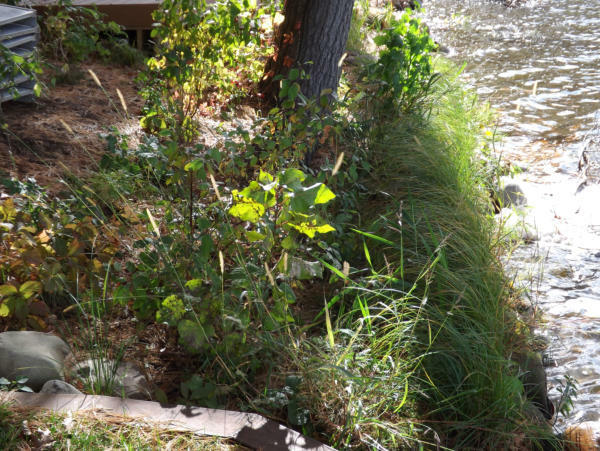 Coir logs were installed to maximize shoreline protection and create a quiet zone to plant aquatic native plants behind them. 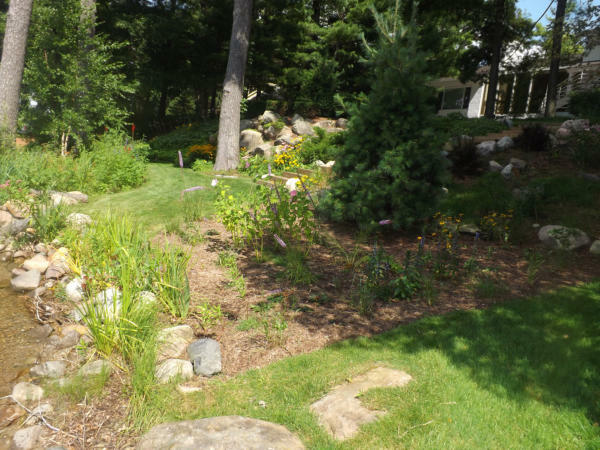 Upland shrubs and plants were added to finish off the overall appearance. 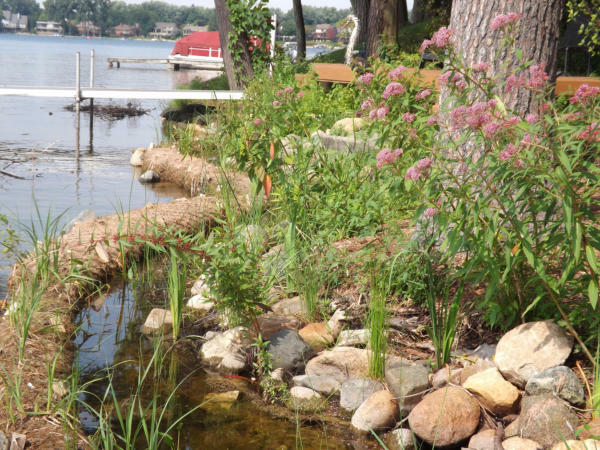 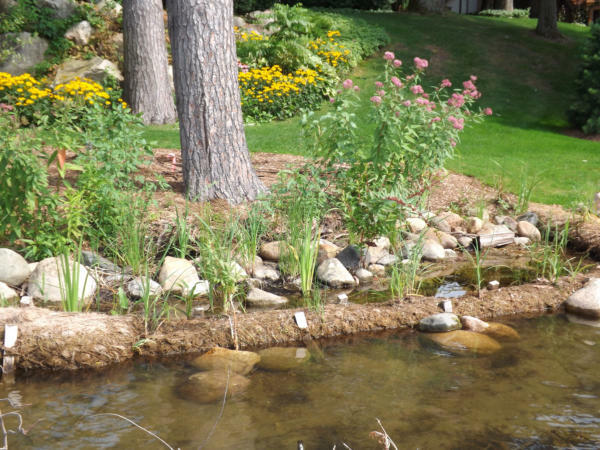 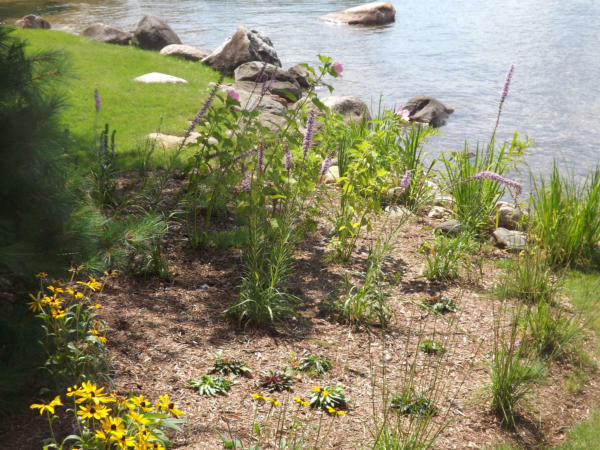 The overall effect is creating a bio-diverse shoreline habitat. 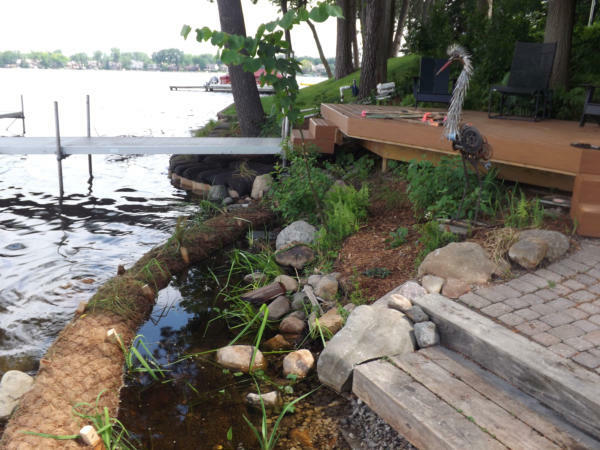 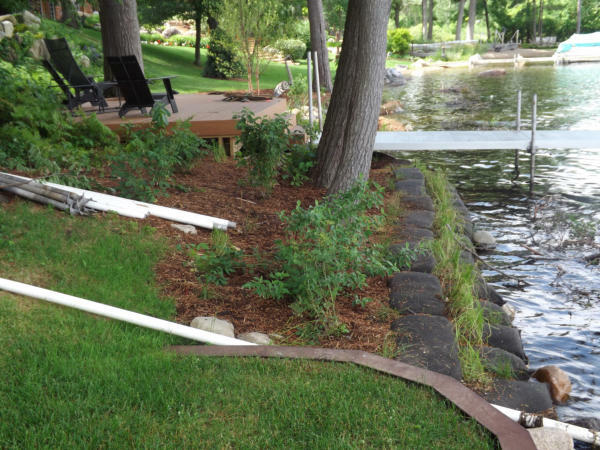 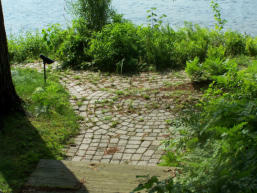 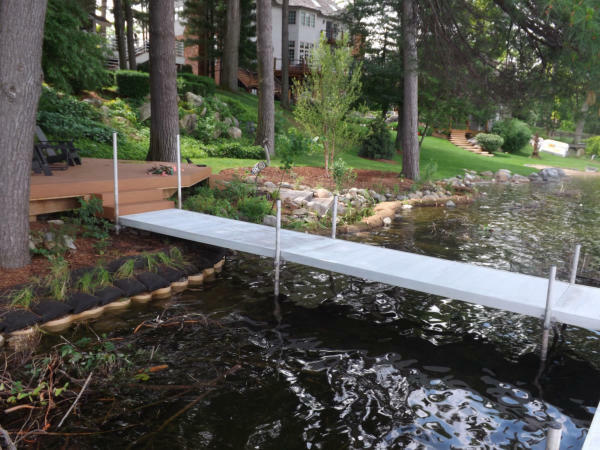 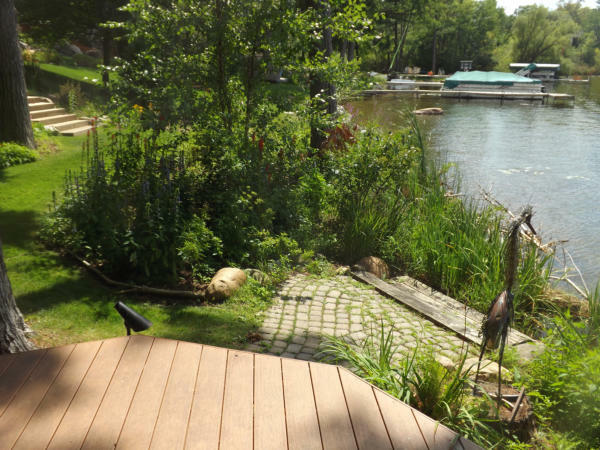 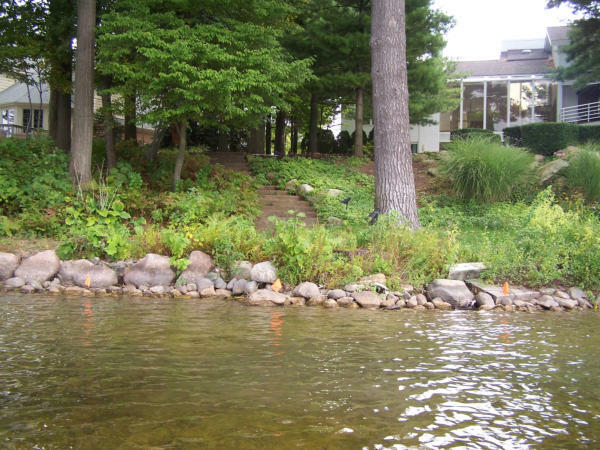 A ground deck was installed to provide the homeowner a great vantage point to enjoy the lake and new shoreline.